On an empty street and under the cover of night, an ambulance appeared at a secured gate at Children's Hospital Oakland and then quietly pulled away. 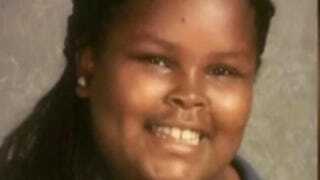 Inside on a gurney lay Jahi McMath, the 13-year-old girl declared brain-dead nearly a month ago. Her family had been fighting for this day as they clashed with officials at Children's Hospital who believed Jahi's life ended shortly after what was supposed to be a routine tonsillectomy on Dec. 9. That surgery took a drastic turn last month, leaving the teen brain-dead. Therefore, the hospital wanted to remove her from life support. The family believed that as long as Jahi was breathing, there was still hope. The ambulance's departure from Children's Hospital took with it a national debate as to when a life ends. The move comes just days before a court-ordered deadline given to the family to remove her ventilator, the San Jose Mercury News reports. Her uncle, Omari Sealey, took to Twitter shortly after Jahi left the hospital: "I told you we'd do it!!! I love you Jahi and I will come visit you soon baby girl. Your Uncle is a BEAST!!!" He later added: "Jahi is free. Bye Children's Hospital." According to the Mercury News, Jahi left the hospital around 8 p.m. and could be seen in the back of the ambulance on a gurney wearing what appeared to be an oxygen mask. A paramedic supervisor vehicle and two uniformed Alameda County Sheriff's Office deputies followed the ambulance. While it is unclear where the ambulance is headed, early reports from the family's lawyer, Christopher Dolan, stated that the family was looking at a facility in New York. The Mercury News reports that a facility in N.Y. with ties to the Terri Schiavo Life & Hope Network has said it will accept Jahi for long-term care and confirmed this on CNN, Sunday. "A short while ago, the body of Jahi McMath was released by Children's Hospital & Research Center Oakland to the coroner," David Durand, chief of pediatrics at Children's Hospital wrote in a statement seen by the Mercury News. "The coroner has released her body to the custody of her mother, Latasha Winkfield, as per court order, for a destination unknown. Our hearts go out to the family as they grieve for this sad situation and we wish them closure and peace." Dolan and Sealey held a late-night news conference at Dolan's San Francisco office and stated that Jahi would be hooked up to a feeding tube and a tracheotomy tube by Monday morning, the Mercury News reports. They would not provide details as to her treatment or her new location as they want to protect Jahi's privacy and the privacy of current patients at the undisclosed facility. Court documents seen by the Mercury News said the approximate cost to transport Jahi was just shy of $32,000; the Jahi McMath page at the gofundme.com website said Tuesday that $47,842 had been raised for Jahi by Sunday morning. Her mother is by her side, as are "highly skilled intensive care" workers, Dolan said. "This family knows the odds are way stacked against them," he said. "This family knows that they need nothing short of a miracle but what this family wanted was a chance."